Alaska is called “The Last Frontier”, because of its opportunities and many lightly settled regions, and the “Land of the Midnight Sun”, because the sun shines nearly around the clock during Alaskan summers. Arizona’s most famous nickname “The Grand Canyon State” celebrates its most famous natural feature, the Grand Canyon. 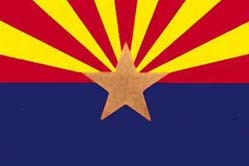 Arizona’s other nickname “Copper State” celebrates its fabulous mineral wealth. 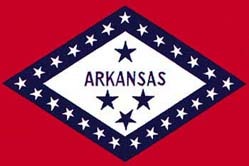 Officially known as “The Natural State”, Arkansas is known throughout the country for its natural beauty, clear lakes and streams and abundance of natural wildlife. 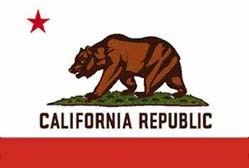 “The Golden State” has long been a popular designation for California and was made the official State Nickname in 1968. It is particularly appropriate since California’s modern development can be traced back to the discovery of gold in 1848 and fields of golden poppies can be seen each spring throughout the state. The Golden State Museum is also the name of a new museum slated to open in late 1998 at the California State Archives in Sacramento. The museum’s exhibits will bring to life the momentous events of California’s history through a series of innovative, interpretive exhibits. 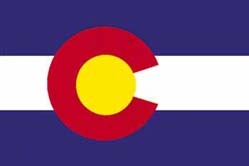 Colorado has been nicknamed the “Centennial State” because it became a state in the year 1876, 100 years after the signing of our nation’s Declaration of Independence. Colorado also is called “Colorful Colorado” presumably because of it’s magnificent scenery of mountains, rivers and plains. This phrase has decorated maps, car license plates, tourist information centers and souvenirs of all kinds! 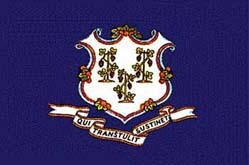 Connecticut was designated the “Constitution State” by the General Assembly in 1959. As early as the 19th Century, John Fiske, a popular historian from Connecticut, made the claim that the Fundamental Orders of 1638/39 were the first written constitution in history. Some contemporary historians dispute Fiske’s analysis. However, Simeon E. Baldwin, a former Chief Justice of the Connecticut Supreme Court, defended Fiske’s view of the Fundamental Orders in Osborn’s History of Connecticut in Monographic Form by stating that « never had a company of men deliberately met to frame a social compact for immediate use, constituting a new and independent commonwealth, with definite officers, executive and legislative, and prescribed rules and modes of government, until the first planters of Connecticut came together for their great work on January 14th, 1638-9. » The text of the Fundamental Orders is reproduced in Section I of this volume and the original is on permanent display at the Museum of Connecticut History at the State Library. 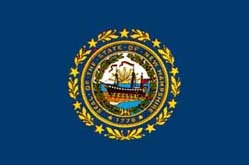 Connecticut has also been known as the “Nutmeg State”, the “Provisions State”, and the “Land of Steady Habits”. 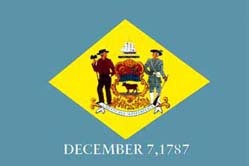 “The Diamond State”: This nickname was given to Delaware, according to legend, by Thomas Jefferson because he described Delaware as a « jewel » among states due to its strategic location on the Eastern Seaboard. Georgia is known as the “Peach State” because of the growers’ reputation for producing the highest quality fruit. The peach became the official state fruit in 1995. 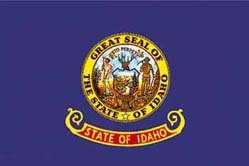 In 1863, Congress designated the Idaho Territory with the erroneous understanding that Idaho was a Shoshone word meaning Gem of the Mountains. In spite of the misunderstanding concerning the origin of the name the state continues to be known as the “Gem State” and the “Gem of the Mountains”. 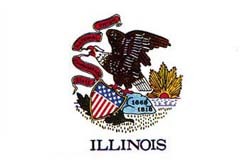 Known unofficially as the “Prairie State”, a fitting nickname for a state that sets aside the third full week in September each year as Illinois Prairie Week to demonstrate the value of preserving and re-establishing native Illinois prairies. “Hoosier State” came into general usage in the 1830s. John Finley of Richmond wrote a poem, « The Hoosier’s Nest, » which was used as the « Carrier’s Address » of the Indianapolis Journal, Jan. 1, 1833. It was widely copied throughout the country and even abroad. 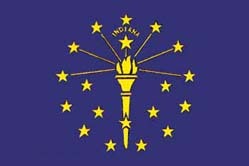 A few days later, on January 8, 1833, at the Jackson Day dinner at Indianapolis, John W. Davis offered « The Hoosier State of Indiana » as a toast. And in August, former Indiana governor James B. Ray announced that he intended to publish a newspaper, The Hoosier, at Greencastle, Indiana. 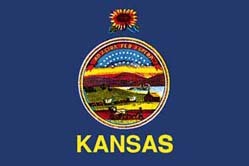 The nickname “Sunflower State” calls to mind the wild flowers of the plains of Kansas and the officially recognized state flower. Bluegrass is not really blue–it’s green–but in the spring, bluegrass produces bluish-purple buds that when seen in large fields give a rich blue cast to the grass. Early pioneers found bluegrass growing on Kentucky’s rich limestone soil, and traders began asking for the seed of the « blue grass from Kentucky. 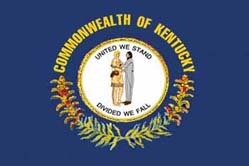 » The name stuck and today Kentucky is known as the “Bluegrass State”. 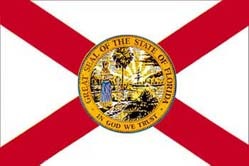 The nickname “Pelican State” is a tribute to the official state bird, the brown pelican, which is native to Louisiana. 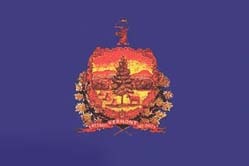 The “Pine Tree State” recognizes the white pine tree, an officially designated state symbol. Maine possesses over 17 million acres of forests. 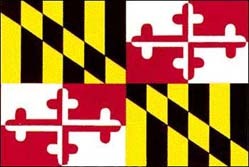 According to some historians, Gen. George Washington bestowed the name “Old Line State” and thereby associated Maryland with its regular line troops, the Maryland Line, who served courageously in many Revolutionary War battles. 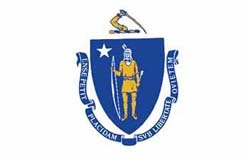 Early settlers were responsible for nicknaming the “Bay State” because of its proximity to several large bays. The “Old Colony State” refers to the original Plymouth colony. Another nickname for Michigan is the “Great Lake State.” Michigan’s shores touch four of the five Great Lakes, and Michigan has more than 11,000 inland lakes. In Michigan, you are never more than 6 miles from an inland lake or more than 85 miles from a Great Lake. 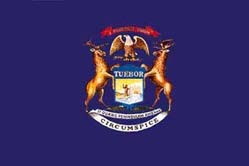 From 1969 to 1975 and from 1977 to 1983 Michigan’s automobile license plates featured the legend, GREAT LAKE STATE. 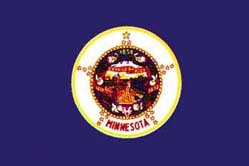 “L’Etoile du Nord” or “The Star of North” is the state motto of Minnesota. 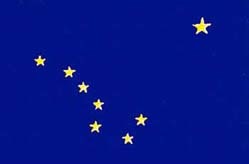 The “North Star State” has given people a sense of direction over the course of time. Minnesota is known on its license plates as the “Land of 10,000 Lakes,” but Minnesota actually has 12,000 lakes. The “Magnolia State” is named because of the abundance of magnolia flowers and trees in the state. The magnolia is the official state flower and the official state tree. 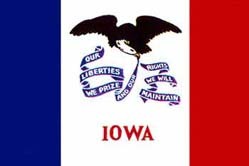 “Show Me State” A name attributed to Representative Willard Van Diver. It conotates a certain self-deprecating stubbornness and devotion to simple common sense. 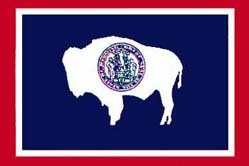 “Treasure State” refers to the importance of mining in Montana. 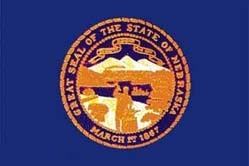 “Cornhusker State”. 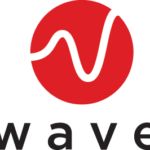 The name is derived from the nickname for the University of Nebraska athletic teams – the « Cornhuskers » – which was coined in 1900 by Charles S. « Cy » Sherman, a sportswriter for the Nebraska State Journal in Lincoln. « Cornhuskers » replaced earlier nicknames, such as « Golden Knights », « Antelopes », and « Bugeaters ». The term « cornhusker » comes from the method of harvesting or « husking » corn by hand, which was common in Nebraska before the invention of husking machinery. Called the “Silver State » because of its large silver mine industries. Named as the “Sage State” and the “Sagebrush State” for the wild sage that grows there prolifically. Granite is the traditional rock in New Hampshire. It gave New Hampshire its nickname of “The Granite State.” New Hampshire once had a large industry surrounding the quarrying of granite. A distinguished citizen of Camden, Hon. 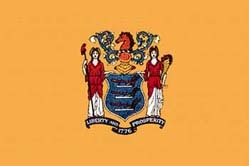 Abraham Browning , stirred the pride of Jerseymen by telling them, at the Centennial Exhibition in Philadelphia, on New Jersey Day, August 24, 1876, that our “Garden State” is like a huge barrel, with both ends open, one of which is plucked by New York and the other by Pennsylvania. 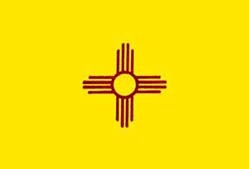 The words “Land of Enchantment” adorns automobile license plates and is used frequently in state publications to promote tourism. In 1629, King Charles I of England « erected into a province, » all the land from Albemarle Sound on the north to the St. John’s River on the south, which he directed should be called Carolina. 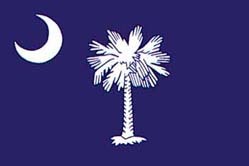 The word Carolina is from the word Carolus, the Latin form of Charles.When Carolina was divided in 1710, the southern part was called South Carolina and the northern, or older settlement, North Carolina. 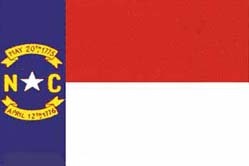 From this came the nickname the “Old North State.” Historians have recorded that the principle products during the early history of North Carolina were « tar, pitch, and turpentine. » It was during one of the fiercest battles of the War Between the States, so the story goes, that the column supporting the North Carolina troops was driven from the field. After the battle the North Carolinians, who had successfully fought it out alone, were greeted from the passing derelict regiment with the question: « Any more tar down in the Old North State, boys? » Quick as a flash came the answer: « No, not a bit, old Jeff’s bought it all up. » « Is that so; what is he going to do with it? » was asked. « He’s going to put on you-un’s heels to make you stick better in the next fight. » Creecy relates that General Lee, upon hearing of the incident, said: « God bless the “Tar Heel” boys, » and from that they took the name. The International Peace Garden straddles the international Boundary between North Dakota and the Canadian province of Manitoba. 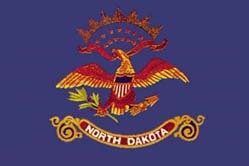 In 1956 the North Dakota Motor Vehicle Department, on its own initiative, placed the words “Peace Garden State” on license plates; the name proved so popular that it was formally adopted by the 1957 legislature (North Dakota Century Code (NDCC), Section 39-04-12).“Flickertail State” refers to the Richardson ground squirrels which are abundant in North Dakota. The animal flicks or jerks its tail in a characteristic manner while running or just before entering its burrow. In 1953 the Legislative Assembly defeated Senate Bill (S.B.) No. 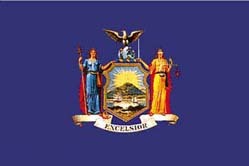 134 that would have adopted the Flickertail facsimile as the official emblem of the state. 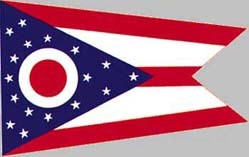 Ohio, the “Buckeye State”, received its nickname because of the many buckeye trees that once covered its hills and plains. But that’s only partly the reason. We have to go back to the feverish presidential campaign of 1840 for the rest of it. William Henry Harrison, a Virginia-born Ohioan and military hero, was a candidate for the White House, but his opponents commented that he was better suited to sit in a log cabin and drink hard cider. Some of Harrison’s leading supporters, who were experts in promotional know-how, decided to turn into a positive reference what was supposed to be a negative one. They dubbed him « the log cabin candidate, » and chose as his campaign emblem a log cabin made of buckeye timbers, with a long string of buckeyes decorating its walls. Furthermore, in parades, his backers walked with buckeye canes and rolled whisky barrels. The campaign gimmicks were successful. « Old Tippecanoe, » as Harrison was often called, beat President Martin Van Buren in the latter’s bid for re-election, and thereafter the buckeye was closely associated with the state of Ohio. 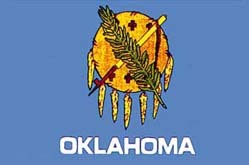 Hence, Oklahoma’s nickname today is “The Sooner State”. The word « keystone » comes from architecture and refers to the central, wedge-shaped stone in an arch, which holds all the other stones in place. 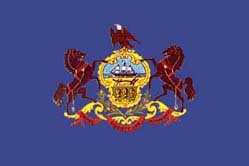 The application of the term “Keystone State” to Pennsylvania cannot be traced to any single source. It was commonly accepted soon after 1800. 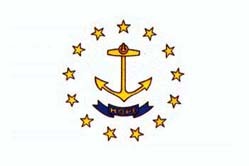 The “Ocean State” is a nickname used to promote tourism. The nickname “Plantation State” is derived from the states official full name « The State of Rhode Island and Providence Plantations ». “Mount Rushmore State” celebrates the epic sculpture of the faces of four exalted American presidents: George Washington, Thomas Jefferson, Theodore Roosevelt, and Abraham Lincoln. 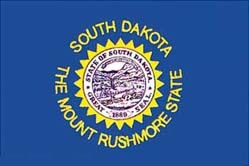 South Dakota’s Black Hills provide the back-drop for Mount Rushmore, the world’s greatest mountain carving. These 60-foot high faces, 500-feet up, look out over a setting of pine, spruce, birch, and aspen in the clear western air. 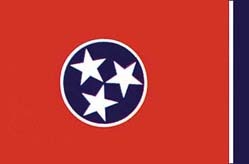 Tennessee has had several nicknames, but the most popular is “The Volunteer State.” The nickname originated during the War of 1812, in which the volunteer soldiers from Tennessee, serving under Gen. Andrew Jackson, displayed marked valor in the Battle of New Orleans. A single star was part of the Long Expedition (1819), Austin Colony (1821) and several flags of the early Republic of Texas. Some say that the star represented the wish of many Texans to achieve statehood in the United States. Others say it originally represented Texas as the lone state of Mexico which was attempting to uphold its rights under the Mexican Constitution of 1824. At least one « lone star » flag was flown during the Battle of Conception and the Siege of Bexar (1835). 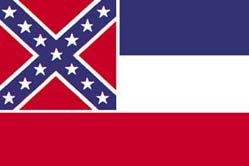 Joanna Troutman’s flag with a single blue star was raised over Velasco on January 8, 1836. Another flag with a single star was raised at the Alamo (1836) according to a journal entry by David Crockett. One carried by General Sam Houston’s Texan army (which defeated Mexican General Santa Anna at the Battle of San Jacin to ) may have been captured and taken to Mexico. 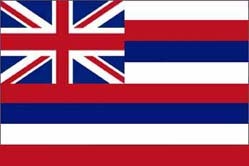 Another « lone star » flag, similar to the current one but with the red stripe above the white, was also captured the following year (1837) and returned to Mexico. 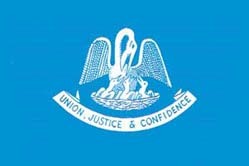 The « David G. Burnet » flag, of « an azure ground » (blue background) « with a large golden star central » was adopted by the Congress of the Republic of Texas in December of 1836. 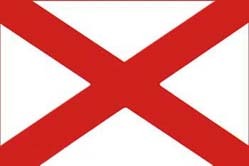 It continued in use as a battle flag after being superseded in January of 1839. 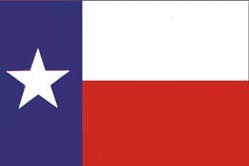 The 1839 design has been used to symbolize the Republic and the “Lone Star State” ever since. 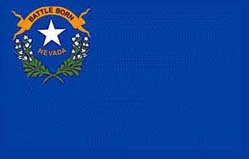 “Beehive State” The beehive became the official state emblem on March 4, 1959. Utahans relate the beehive symbol to industry and the pioneer virtues of thrift and perseverance. 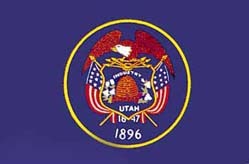 The beehive was chosen as the emblem for the provisional State of Deseret in 1848 and was maintained on the seal of the State of Utah when Utah became a state in 1896. “Green Mountain State” Verd Mont was a name given to the Green Mountains in October, 176l, by the Rev. Dr. Peters, the first clergyman who paid a visit to the 30,000 settlers in that country, in the presence of Col. Taplin, Col. Willes, Col. Peters, Judge Peters and many others, who were proprietors of a large number of townships in that colony. The ceremony was performed on the top of a rock standing on a high mountain, then named Mount Pisgah because it provided to the company a clear sight of lake Champlain at the west, and of Connecticut river at the east, and overlooked all the trees and hills in the vast wilderness at the north and south. 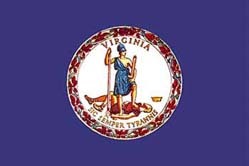 “Old Dominion State” Charles II of England quartered the arms of Virginia on his shield in 1663, thus adding Virginia to his dominions of France, Ireland and Scotland. 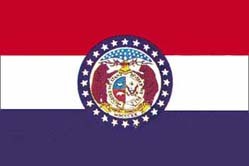 Called the “Mother State” because it was the first state to be colonized. 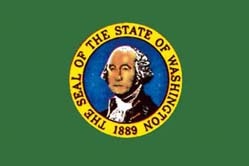 On November 11, 1889, Washington became the 42nd state to enter the Union. 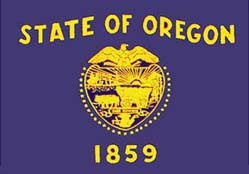 It is the only state named for a president. Washington was nicknamed “The Evergreen State” by C.T. Conover, pioneer Seattle realtor and historian, for its abundant evergreen forests. 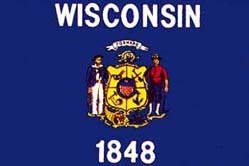 The nickname was adopted by the Legislature in February, 1893.